Return Calculation Participation in any positive performance of an Underlying, where the participation is less than or equal to one times. 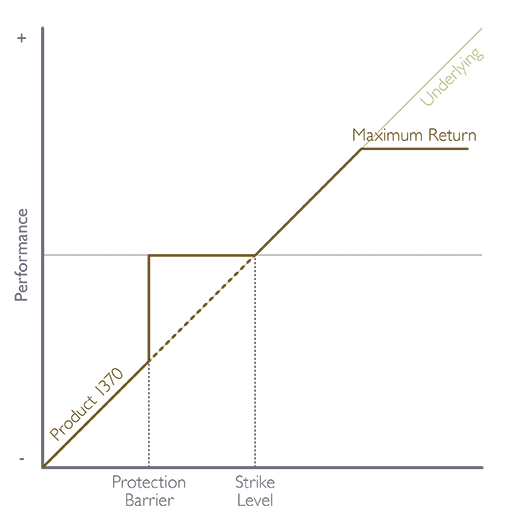 The return is capped at a maximum level. Expects the Underlying to rise, but not by more than the maximum return.